I know that it’s the holiday season and all, but I just had to post my newest painting. It’s jolly, I know. I’m fresh out of snowman paintings… Yes, the timing is probably off, but I’m so excited to finally share this new piece. It’s so new I haven’t even named the series yet. Any ideas?? 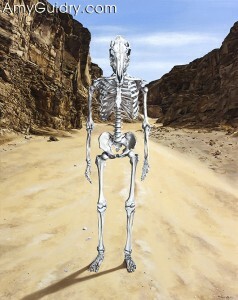 This painting is titled “The Wild West” and is a 24″ x 30″ acrylic on canvas. It’s not on my website yet, as I am working on a couple more pieces to put on there as a group. Otherwise this one would be all by its lonesome. It took me forever to finish this painting. The others are not as grueling, but this one took over 188 hours. I’m surprised my hand hasn’t fallen off. 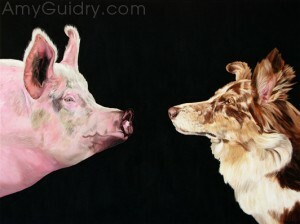 Be sure to check back on my website www.AmyGuidry.com to view this and other paintings from my newest series. While you are there, be sure to check out more of my work. You won’t find any snowmen or candy cane paintings on there, but I like to think you’ll still enjoy it. Happy Holidays! 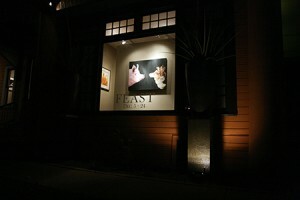 I was at the opening reception last weekend and have a few photos to share. The entire album will be posted on my website soon (www.AmyGuidry.com), so be on the lookout. 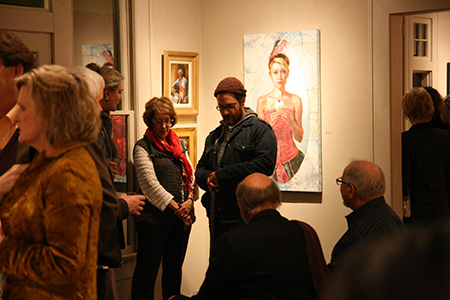 On the upstairs level of the gallery, various works by the gallery’s represented artists were also on display. 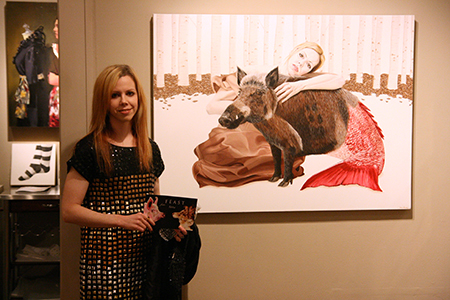 I took the opportunity to pose with my painting, “Acceptance” from my New Realm series. Also, I should mention that I met Steve via LinkedIn. I had a profile on there, but didn’t know what to do with it. 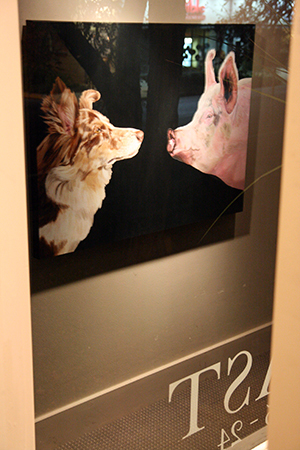 Art Calendar Magazine had a great article about LinkedIn (thanks to Renee Phillips!) which informed me of all the opportunities that lie ahead when joining LinkedIn (other than just having your name saved on there like I did…). 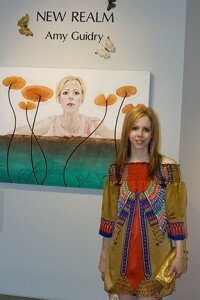 So if you’re on LinkedIn or about to join, you can connect with me at http://www.linkedin.com/in/amyguidryartist. 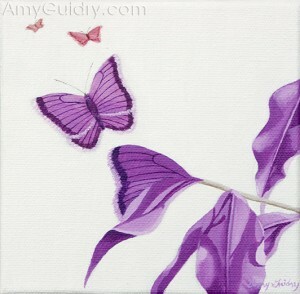 Oh, and if you’re new to this site, you can also check out all of my artwork on my website www.AmyGuidry.com.